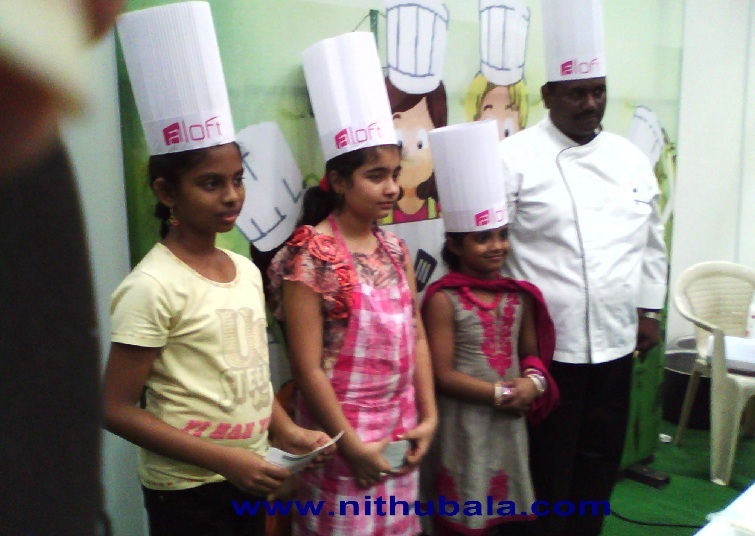 My niece Shrima participated in Young Chef Contest held at Chennai Trade Center, Nandambakkam this evening. 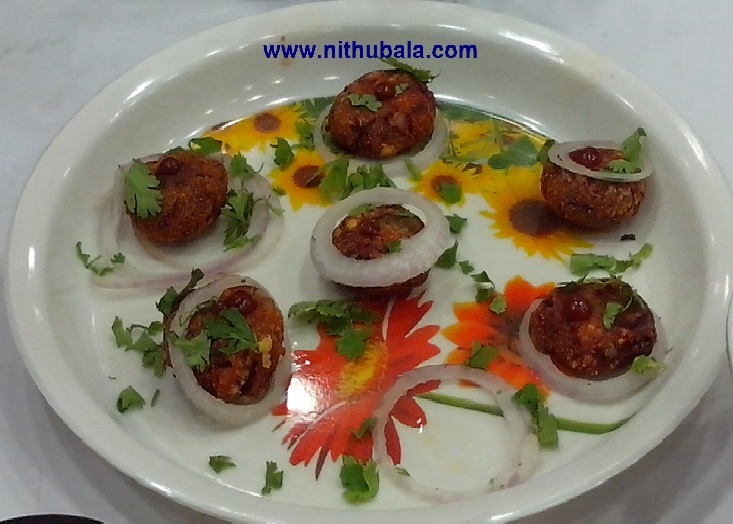 She prepared a delicious and healthy started "Health Fritters". 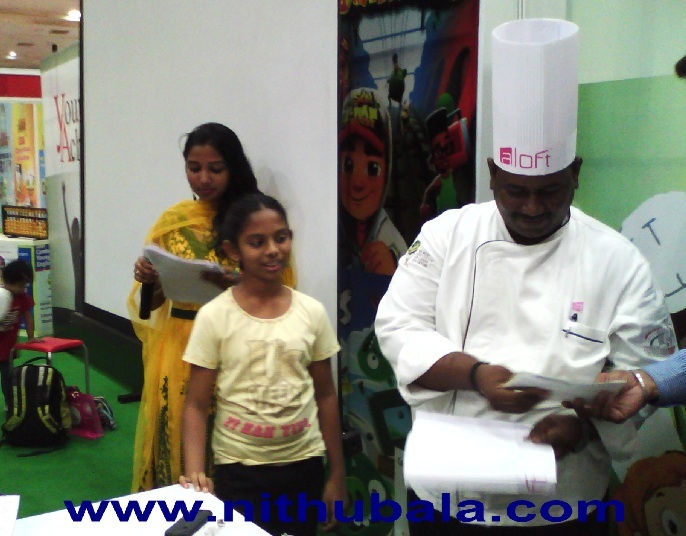 Chef Ashok from Aloft at Sholinganallur was the Judge and he gave a wonderful feedback about the dish. 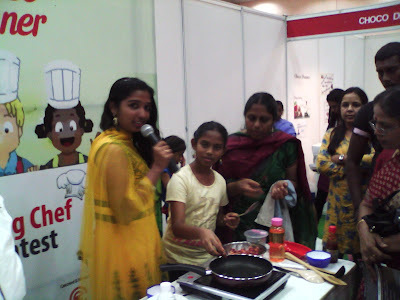 I am much excited about her win and there is reason for it..I gave her the recipe. I will post the recipe soon with the picture taken at home. Congrats Nithu & Shrima. Nice Photos.Thanks for sharing..
@Brindha, Where are you? Did you come to Chennai in April? upcoming chefs of future :) Congratulations to her!! Keep her motivates!! !